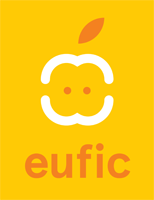 IValueFood (3 year project) will enhance consumer health and support the European Agri-food economy by improving future generations’ knowledge of, and engagement with, food. Novel approaches will be used to engage with next generation audiences: students from primary school to university. Following a pan-European inventory of current tools and resources; novel engagement and education approaches (e.g. gamification, txokos, food interest groups/collectives, “twinning”, science meets food) will be used to produce our future food champions who will communicate food values through digital media platform(s) of their choosing. 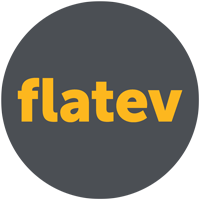 IValueFood will be supported by a pan European network of high profile “food stars” and stakeholders. Industry will “relearn” to engage with our youth on food values. The project will be scaled-up across Europe, targeting regions where a greater engagement and understanding of food is needed in order for the next generations to make the best choices of the food they eat. In 2018 a cohort of 24 PhD students experienced a Journey of 6 months to develop their product idea into a feasible business opportunity. They kicked-off in Munich in June, went to Technion in Haifa, Israel in July, and completed a 10-day stay in Silicon Valey, USA. During the process they have been supported by experts and coaches from top Universities in Europe, such as Queens University, University of Madrid, and ETH Zurich. During these months we've been educating upcoming innovators in the area of entrepreneurship and business creation through an intensive 3 – week curriculum of tailored seminars and workshops spread out over a period of 6 months, Jun to Dec 2018. During this period, PhD students leveraged the knowledge and expertise of a diverse consortium of EIT Food partners and benefit greatly from an onsite and online mentoring scheme on entrepreneurship and the challenges of building a StartUp. GFV participants additionally had the unique opportunity to gain insight into two international innovation ecosystems (Israel and the Silicon Valley) and network with key players from the Food&Agtech space, in order to build and validate their value propositions and fuel innovation across Food&Agriculture in Europe. Would you like to take part in the next edition of 2019? Find out more here. The aim of this professional development course is to provide introductory and advanced hands-on training and theory in algal biology, culturing, growth and subsequent molecular and metabolite analysis under laboratory and small scale pilot facilities. The workshop in 2019 will run for two days at the University of Cambridge Algal Innovation Centre (AIC) followed by courses at Iceland, Germany and Southern Europe. The successful format builds on the courses run in 2018 and includes a daily programme of lecture/seminars that introduces the theory of techniques, SOPs best practice, and a demonstration of equipment and tours. New for 2019 will be advanced training in algal transformation and sector standardisation. The programme will provide an unrivalled opportunity for postgraduate, postdoctorate and industry researchers and entrepreneurs to be trained in algal biotechnology research and to understand the opportunities available for its incorporation in the sustainable food bioeconomy.